Cambridge locates 80km north of London and is the university town for University of Cambridge, one of the premier schools in the world. This city was first occupied by Roman Empires who established a community around AD 40, they also built forts and used this city mainly for military purpose to defend River Cam. The founding of University of Cambridge was originated from a riot in University of Oxford where some students fled to Cambridge to avoid bloodshed in 1209. Same as University of Oxford, University of Cambridge is also a collegiate school. 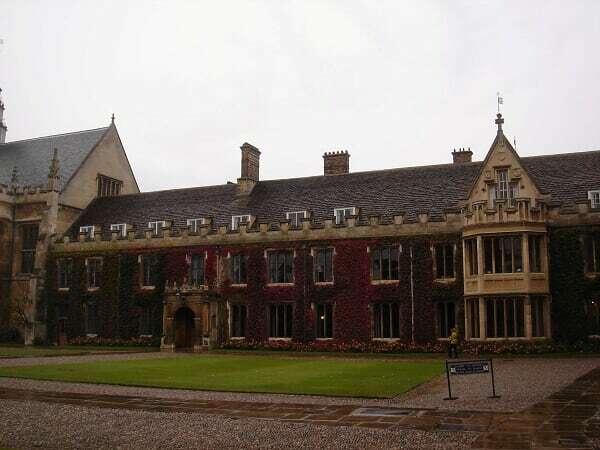 The first college was formally established in 1284 known as Peterhouse College. Now, there are total of 31 colleges in University of Cambridge. Trinity College is the largest, richest, and the most famous college in University of Cambridge. It has produced 32 Nobel Prize winners so far, including Sir Isaac Newton, Lord Byron, and Bertrand Russell. The statue on top of the Great Gate is Henry VIII who founded Trinity College. 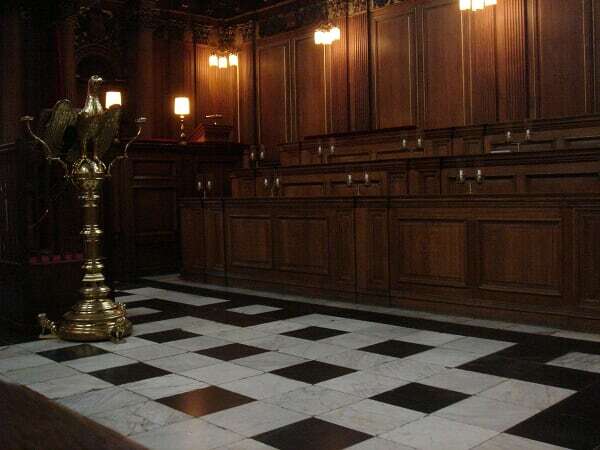 However, Henry VIII’s support alone for land was not sufficient to assume Trinity College’s spaciousness. It was not until Thomas Nevile that Trinity College was ensured its capaciousness and royal association in early 17th century. Henry VIII’s status was built to clutch a scepter but was swapped to a chair leg by students as a joke. The scepter has never been replaced back. 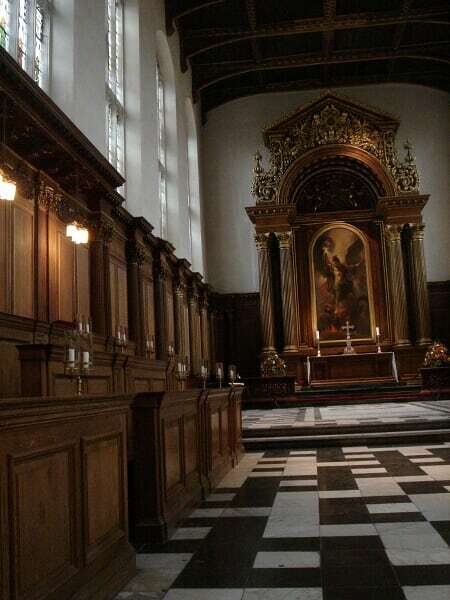 The church in Trinity College was founded by Henry VIII’s daughter–Mary Tudor in 1554. The Great Court of Trinity College that was built and expanded by Thomas Nevile who was Master of Trinity College from 1593-1565. Thomas Nevile rebuilt Trinity College by connecting all the buildings together, renovated the dinning hall, built a new court, and moved the Edward Clock Tower 20 meters back. The fountain in Great Court. Viewing the back of the Great Gate from Trinity College’s grand courtyard. Gate of Honor in Gonville and Caius College. This college was founded in 1346 and has 3 gates–Gate of Humility at entrance, Gate of Wisdom that leads to the hall, and then Gate of Honor is only unlocked when students receive their degrees. Neo-gothic style Gatehouse as part of the building for King’s College. Another view of King’s College. River Cam and Mathematics Bridge that connects Queen’s College to another side. Mathematics Bridge is also known as "Wooden Bridge" that was designed by James Essex in 1749. It’s said that the bridge was built without bolts and screws. However, it was taken apart and rebuilt several times until now. River Cam that passes by St.John’s College, Trinity College, King’s College, and Queen’s College. There are several bridges on River Cam–all called cam-bridges. Punting on River Cam is a popular activity in the campus. I think Cambridge is not just best-known for its prestigious university but moreover, the romantic ambience of River Cam that inspired Chinese poet, Hsu Chih-Mo, to write "Goodbye again, Cambridge."